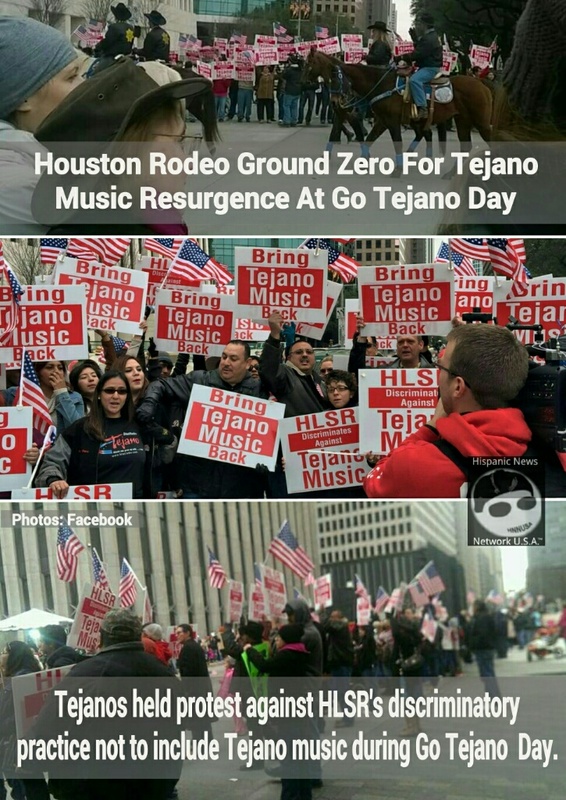 Tejanos and Tejano music enthusiasts stood along the Houston Livestock Show and Rodeo parade route holding up signs calling for Tejano music to be included in the Go Tejano Day annual celebration. Houston, Texas – On Saturday, thousands of Tejanos and Tejano music enthusiasts gathered along the Houston Livestock Show and Rodeo (HLSR) parade route holding up signs calling for the GO Tejano Committee to include top Tejano bands and conjuntos at their major event arena during Go Tejano Day on Sunday March 15 instead of continuing to phase out the music from the annual rodeo event. In the last 8 years, the HLSR has not allowed top known Tejano artists to share the stage with other Latino music genre artists during the “Go Tejano” day at the rodeo major events. An estimated 40 percent of the Tejano population is concentrated in Houston alone and many of them do volunteer their services at the HLSR, a non-profit organization that reported more than $117M in revenues per year. Tejanos who volunteer at the HLSR do spend money during the event, but the HLSR has not included Tejano music at the NRG arena for years. Tejano bands and conjuntos are placed in outdoor stages indicating that they are less appealing to the HLSR for generating funds in ticket sales and those attending the rodeo event. Tejanos disagree with the HLSR position to discriminate against their music, including culture and say that Tejano music is popular. In most days during the rodeo events, Tejanos do make the second largest attendence at the rodeo. José Vega, one of the protest organizers from Tejano Heritage Alliance during a press conference on Saturday said, that more demonstrations and other events are being planned to bring attention to the HLSR discriminatory practice not to book Tejano bands or conjuntos during the Go Tejano day at the Houston rodeo. The HLSR annual event became Ground Zero for the resurgence of Tejano music at the Houston rodeo. Major corporations sponsor the HLSR event and unfortunately none have stepped forward to sponsor top Tejano artists for their consumers of products during the Go Tejano day at the arena. Mexican Federal Police took the leader of the Caballeros Templarios into custody. Morelia, Michoacán, Mexico – On early Friday, Federal Police arrested Servando Gómez Martínez, 49, aka, “La Tuta,” the main leader of the Caballeros Templarios, a criminal organization. Martínez was arrested with eight other suspects around 4:22 a.m. at a residence in the neighborhood of Tenencia de Morelos in Morelia. Police say, the suspects including, Maria Antonieta Luna Avalos, Eduardo Esteban Aviles, Jesús Fernando Magaña Gutiérrez, Edgar Agusto Ramírez Haro, Fabricio Magaña Jurado, Juan Manuel Ayala Maldonado, Christian Emanuel Arias Sánchez and Marcelo Reyes Sánchez were taken into custody along with Martínez without firing a shot. 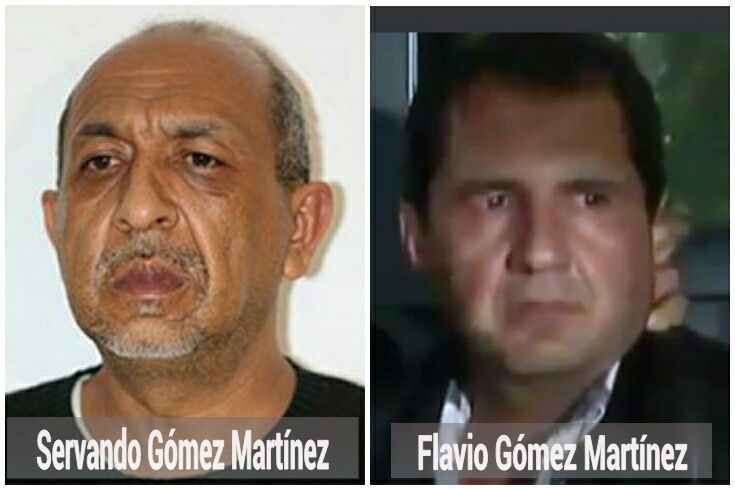 Martínez was wanted for eight federal warrants by the Mexican federal government for his connection to commit murder, operating a criminal organization, extortions, kidnapping and drug trafficking. A $30M pesos ($2.3M U.S.) reward for the drug lord was offered for information leading to his arrest. Martínez was transported to Mexico City for questioning by the feds. On Friday afternoon, Flavio Gómez Martínez, 43, the brother of La Tuta was taken into custody in Mérida, Yucatan without firing a single shot as well. He was arrested in the neighborhood of Maya and had five federal warrants in connection with the criminal organization, according to federal authorities. He is considered to be one of the chief financial accountants for the Caballeros Templarios. Wanted dead or alive, Jihadi John, the ISIS executioner unmasked as Muhammed Emwazi who beheaded multiple victims on videos. Washington, D.C. – On Thursday, both the Washington Post and BBC reported that Jihadi John was actually Muhammed Emwazi, 26, aka, Muhammad ibn Muazzam born in Kuwait and a British national who lived in West London. Sky News obtained Emwazi’s University of Westminster education records with his student photo from 2006 to 2009 and was released to media outlets in London, which ran in front page news. 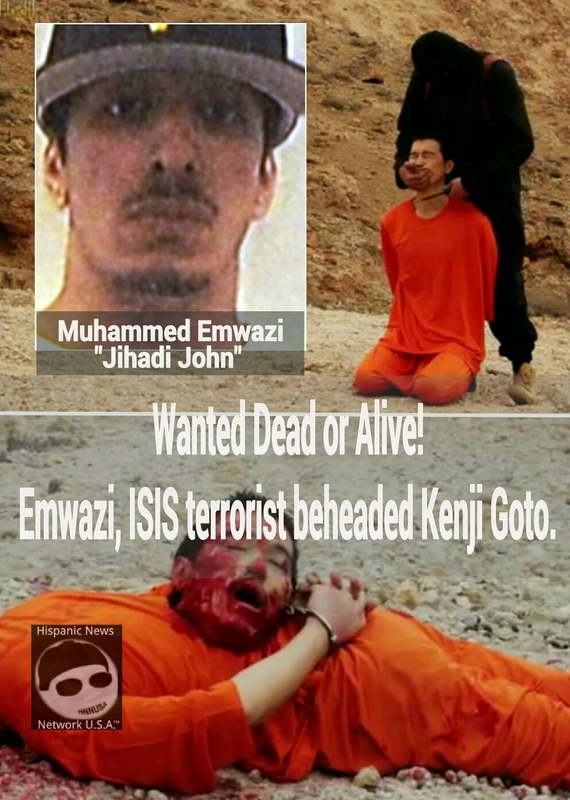 Emwazi who is Wanted Dead or Alive first appeared in an ISIS video on August where he beheaded American journalist James Foley, then in the beheadings of American journalist Steven Sotloff, American aid worker Abdul-Rahman Kassig also known as Peter, British national and aid worker David Haines, British taxi driver Alan Henning, Japanese freelance journalist Kenji Goto and appeared in an ISIS video where 21 Syrian soldiers were beheaded as well. It was previously believe that Jihadi John was Adel Majed Abdel Bary, 24, of London another known ISIS terrorist, but now media outlets are reporting that he was not. The Federal Bureau of Investigation (FBI) knew who Jihadi John was back in September and wouldn’t confirm it was Emwazi. British intelligence also knew Emwazi was the ISIS terrorist Jihadi John and decided not to confirm his identity until Thursday when it was reported by multiple media sources. Emwazi got the name John from hostages who nickname him and two other British ISIS terrorists as Jorge and Ringo for their British accents, which later the trio became known as the Beatles. Their nicknames were later known after a hostage was released and told government officials the aliases of their captors. The ISIS British terrorists Jorge and Ringo have yet to be identified. Emwazi is now wanted in 6 nations for beheading or murdering their nationals. ISIS has been conducting mass executions of Christians, civilians and soldiers. They even burned a Jordanian pilot alive in a cage and are threatening to burn children in a cage. In a recent video from ISIS, children are shown with weapons and are being (forced) trained as terrorists. Recent information from Iraq indicates that ISIS is mass murdering victims to harvest their organs to sell on the black market to fund their terrorist operations. Other unconfirmed information circulating in the social networks indicate that ISIS terrorists have been eating human parts and drinking human blood from the victims they kill due to lack of food supplies to feed the terrorists or as a ritual to make them invincible and to spread worldwide terror. ISIS forces and their affiliates are about 500 miles from Italy and are planning to invade or infiltrate Rome to behead Catholic Pope Francis and Christians at the Vatican. More than 150 Assyrians from Christian villages in Syrian were recently abducted by ISIS and are destine to be executed or have been already executed. In one report, dozens of women, children and elderly were killed and then burned. In one recent ISIS video, 21 Egyptian workers were beheaded and another previous video showed male Christians being shot individually and thrown into a river. Some Western countries targeted by ISIS do not allow their citizens to own or have weapons making it easy for terrorists to kill unarmed civilians. Especially today, when sleeper terrorists cells are lurking among large unsuspecting populations. The ISIS terrorism and mass murders continue in Libya, Iraq and Syria under the Islamic religious belief to killl Christians, which is not a true religious practice by other Islamic groups who condemn ISIS for their extremist mass murders conducted under their Islamic religion. All employees and faculty at the UW-System will no longer be required to report sexual assaults to the dean of students, legislature and the Wisconsin Department of Justice, according to Governor Walker’s proposed budget. Madison, WI – Governor Scott Walker’s (R) proposed 2015-2017 budget to cut $300M from the UW-System also eliminates the requirement to provide oral, written or electronic information about sexual assault to freshman during orientation including all students about how to report such crimes. The budget also would prevent anyone employed by the university or college who witness a sexual assault or any student reporting such a crime to an employee from reporting sexual assaults to the dean of students. It would also prevent the universities from reporting methods implemented full filling the requirement to report such crimes to the legislature and would eliminate sexual assault statistics from student acquaintances committed on campus to be included in reports. Any sexual assault statistics from previous years or current would not be required to be reported to the Wisconsin Department of Justice to be included in their crime reports. Walker’s UW-System Budget text eliminating the requirement to report sexual assaults or provide information during orientation of new students at universities and college campuses. Governor: Delete the requirement that the Board direct each institution and college campus to incorporate oral and written or electronic information on sexual assault in its orientation program for newly entering students and to supply all students enrolled in the institution or college campus with the same information in either printed or electronic form. Delete the requirement that any person employed at an institution who witnesses a sexual assault on campus or receives a report from a student enrolled in the institution that the student has been sexually assaulted report the assault to the dean of students. Delete the requirement that each institution report annually to the Department of Justice (DOJ) statistics on sexual assaults and on sexual assaults committed by acquaintances of the victims that occurred on the campus of that institution in the previous years, and that DOJ include those statistics in appropriate crime reports. Update: The USA Today reported that a UW Spokesman Alex Hummel said, that the UW had asked Governor Walker to remove the requirements from the proposed two year budget for reporting sexual assaults because federal law already requires it to provide the information to the U.S. Department of Education and reporting to the state would be a duplication. Isn’t the Wisconsin State Legislature who funds the UW-System and shouldn’t they get the information, including students who pay tuition at the universities be able to report and get orientation about sexual assaults?, interesting concept to keep sexual assault reports from the state and the WIDOJ. Spoiled food, smelly mattresses, lack of exercise, unhealthy holding cells, limited access to phone calls and gross inappropriate search procedures done to visitors are a few of the alleged human rights violation complaint filed by 138 Altiplano prison inmates including Joaquín Guzmán Loera, aka, “El Chapo” and other drug lords held at the maximum security prison. Mexico, D.F. – On Wednesday, 138 Altiplano maximum security prison inmates including Joaquín Guzmán Loera, aka, “El Chapo” of the Sinaloa Cartel filed a human rights violation complaint registered number 19066 with the Mexican National Human Rights Commission (MNHRC) alleging the prison warden and staff of corruption and committing human rights violations. 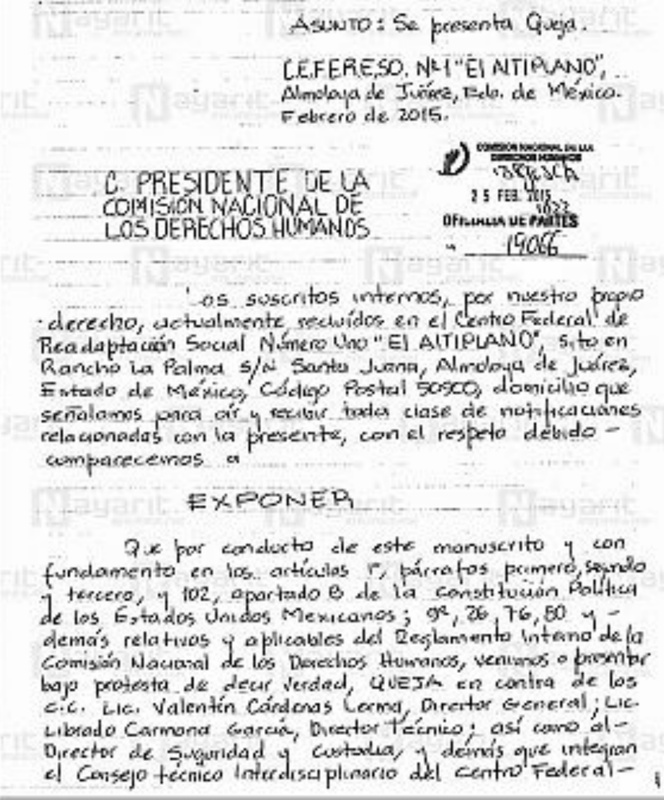 The 11-page hand written complaint to the MNHRC claims that the inmates including multiple drug lords, kidnappers and murders held at the prison, including Edgar Valdez Villareal, aka, “La Barbie,” Héctor Beltran Leyva, aka, “El H,” Abel Valadez Uribe from La Familia Michoacana, Ramiro Rangel Soto from the Gulf Cartel and Miguel Ángel Félix Gallardo of the Guadalajara Cartel claim that they are given spoiled food (beans with stones, chicken with worms), sleep in dirty and smelly mattresses, lack of exercise, kept in unhealthy holding cells, have controlled and limited access to phone calls, only allowed one hour of solar powered light and gross inappropriate search procedures done to visitors are just a few of the alleged human rights violations conducted by prison staff and guards. In addition, they claim that they only get one hour limit at the outdoor prison yard, they get inadequate medical care, have no social or exercising activities and the prison store is not operated efficiently. A medical prison staff member, “Areli” treats them like animals and is the prison technical director, Librado Carmona García’s girlfriend. García is accused of charging inmates money for favors and shares the bribes with other directors of the prison system. Inmates are allowed to spend $664 pesos ($51 U.S.) per month and they say, that the amount is not enough to buy hygiene products and powder soap to wash and etc. The prison store needs to have a larger variety of products for the inmates need for healthy hygiene, according to the human rights violation complaint. That the prison conjugal visiting rooms or sections for private visits have no running cold and hot water, bathrooms and sinks are broken and not working, water pipes leak, beds not suitable for inmates and partners to have intimate visits, the inmates filed complaint alleged. The inmates believe that once their human rights violation complaint is made public, they expect for the prison warden and staff to take reprisals against all of the inmates at Altiplano prison. Seven months ago, the inmates and drug lords had a hunger strike to bring attention to their mistreatment, bad food and unhealthy conditions at the prison. A copy of the 11-page inmate complaint was received by the Nayarit online dot MX and it published the inmates allegations on Thursday. Internet service providers can’t charge or block Web sites and impose limits to users from getting access to information on the net. Washington, D.C. – On Thursday, the Federal Communications Commission (FCC) voted to keep the Internet neutral and free, despite lobbying to allow servers like Verizon and various portals through which users are getting their information over the Internet from becoming gatekeepers and to charge different rates to different Web sites, President Barack H. Obama announced. 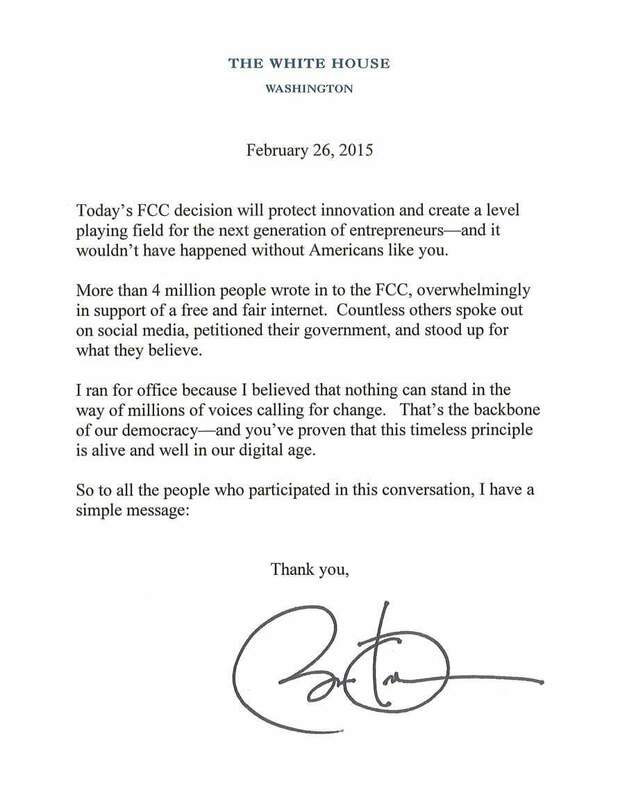 Obama stated, “More than 4 million people wrote to the FCC, overwhelmingly in support for a free and fair internet. Countless others spoke out on social media, petition their government and stood up for what they believe” resulting in a neutral and free Internet. Obama says, that he called on the FCC to adopt strong and fair rules to allow net neutrality and for Internet service providers (ISPs) to treat all internet traffic equally. The FCC voted to keep the net neutral. ● In May 2010, the FCC introduces strong net neutrality protections that said internet service providers could not block websites or impose limits on users. ● In December, the FCC would go on to pass a final version, adopting their first-ever rules to regulate Internet access. ● In January 2011, just weeks after the FCC adopted their rules, Verizon Communications filed a federal lawsuit that would eventually overturn the order. 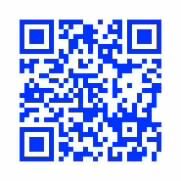 ● In January 14, 2014, a Federal Appeals Court strikes down the FCC’s 2010 rule. García could very well become the next Chicago Mayor after incumbent Mayor Rahm Emanuel failed to get 51 percent of the vote on Tuesday forcing a run-off election in April. 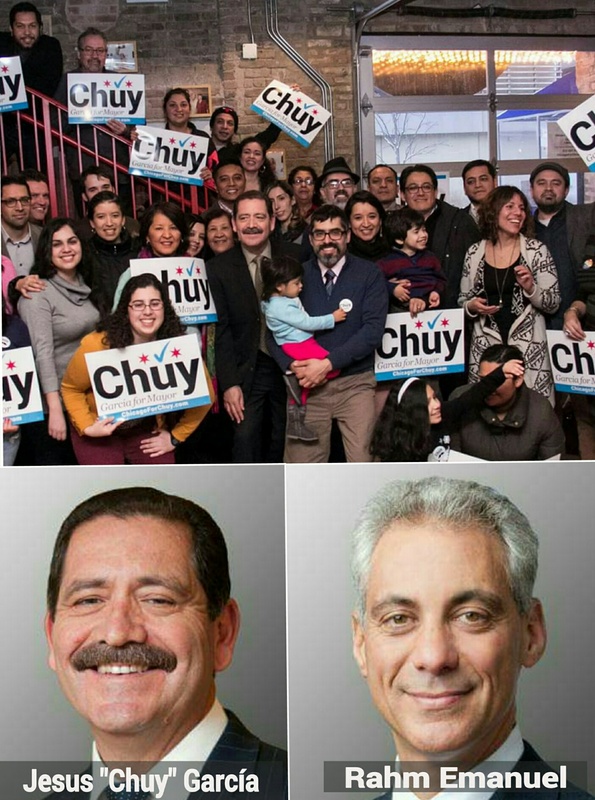 Chicago, Illinois – On Tuesday, Jesús “Chuy” García pulled an upset and forced Mayor Rahm Emanuel into a run-off election in April. Mayor Emanuel failed to get at least 51 percent to get re-elected for a second term in Chicago. García ran a grassroots campaign and was less funded than Emanuel. García could very well become the next Mayor of Chicago in April and could become the first Hispanic to get elected as mayor. With 98 percent of the precincts reporting, Emanuel received 45.5 percent of the vote and García received 33.9 percent, while three other candidates received a shared 20.8 percent of the vote. Emanuel won 35 wards of a total of 50 wards city wide and García took 15 wards including 11 of 12 majority Hispanic wards in Chicago, according to unofficial results late on Tuesday. Emanuel raised at least $16M with half spent in TV advertising compared to García, who was seen as an underdog in the election but had big endorsements, including the Chicago Jewish Star.